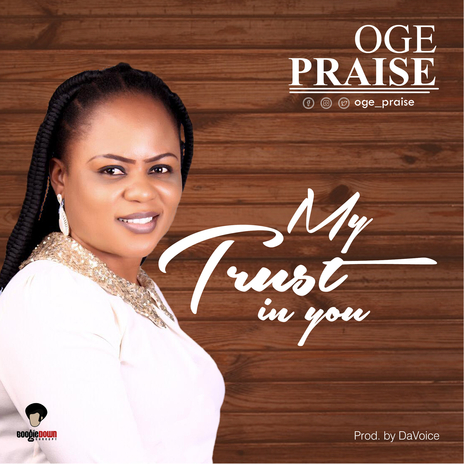 Ogechi Uzochukwu a.k.a Oge Praise hails from Arochukwu in Abia State, The Abuja born and based Gospel artiste finally drops her long awaited debut Gospel single which she titled ‘My Trust In You’ a song that came from a totally submissive heart to the will of God. Oge Praise has for long been waiting for the right time by the leading of the Holy Spirit to release her debut single “My Trust In You” and there can be no better time than now to let the whole world listen and understand via the instrumentation of music that God remains ever true, and all we need to do as His Children is to totally trust and believe without a doubt that which He alone can do. The single ‘My Trust In You’ was produced, mixed and master by one of Boogie Down Concepts’ finest producers.